All the sewing tools that you need for sewing crafts. Can I know the measurement for cutting mat S and M? may i know the cutting mat, rotary cutter, scissors and ruler are made in which country? 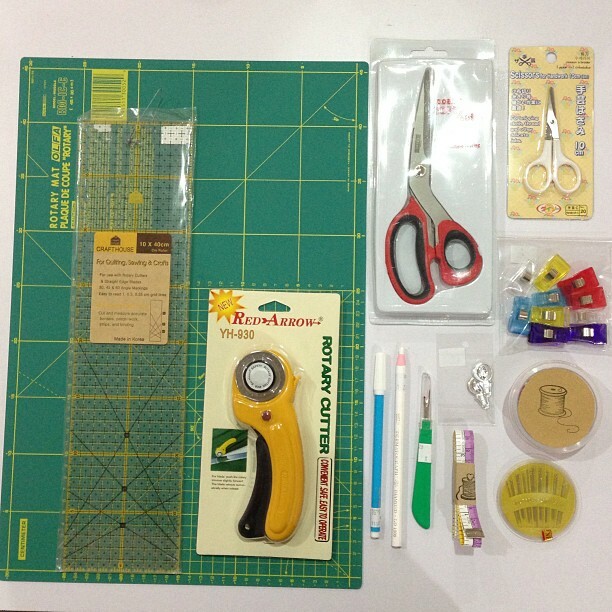 Do you have basic package for mat, ruler and rotary cutter? Can I know the measurement for cutting mat M thanks ? i want to order fabric cutter, how?